The Office of University Communications tells the stories of Wesleyan University—highlighting the achievements of the University and its students, alumni, faculty and staff, across all mediums. 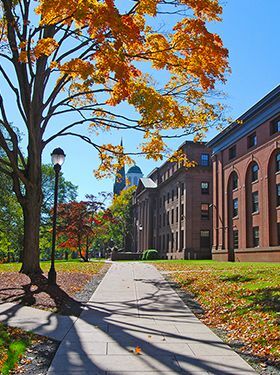 Our communications services are available to all members of the Wesleyan University campus community—whether you’re looking for advice or guidance on overall marketing strategy, or project-specific editorial, e-mail, media relations, print, photography, social media, video or web services. Our goal, in everything we do: to shine a spotlight on the people, programs and projects that make Wesleyan a world leader in liberal education. Click here for a guide to the new Creative Brief process. Faculty experts, press contacts, filming guidelines and more. Services, style guides, department contacts and more. Our office produces Wesleyan magazine, the Wesleyan Connection e-newsletter (and its daily news blog, News @ Wesleyan), and Video @ Wesleyan; maintains Wesleyan's home page, the Wesleyan Athletics and Center for the Arts websites, and Wesleyan's main social media accounts; and oversees the Wesleyan University Events Calendar. 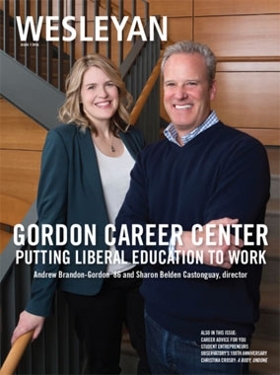 We're embarking on a core messaging project to build on our substantial strengths and share that information more effectively with our audiences; tell the authentic stories of Wesleyan in a compelling way; and advance Wesleyan's position as both a leader and innovator in the field of liberal education. 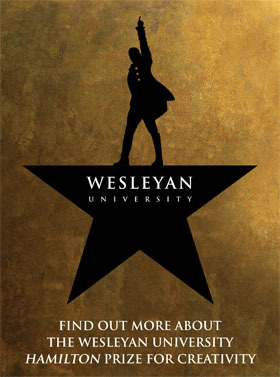 In partnership with the Office of Admission, we've developed a campaign to spread the word about our new four-year full-tuition scholarship, The Wesleyan University Hamilton Prize for Creativity, including a dedicated web page, targeted media outreach and an info packet sent to 5,000+ high school guidance counselors.